Inicio Salud de la A - Z Medicina general Are you lactose intolerant? wait,... almost everything contains milk! With all the new trends in the fitness world, it is very likely that you’ve heard about “lactose intolerance”, allowing a wide range of lactose-free products to become more and more popular among people, from lactose-free milk to lactose-free ice. There are diverse opinions regarding the consumption of cow milk, including nutritionists’ opinion holding up that it is a great source of nutrients such as calcium, while there are others who maintain that human beings are not prepared for the consumption of these products; it is still uncertain who is right and who is wrong, but whatever the case it has been proven that in fact there are people who is not ready to digest lactose, a main component of milk. Lactose is a type of sugar that is found in milk and most dairy products (yogurts, chesses, ice creams, etc. ), which after ingestion, is processed through the small intestine. In order for lactose to be properly digested, there needs to be a specific enzyme present, lactase. When there’s a deficiency or complete absence of lactase, lactose intolerance presents itself. Lactose intolerance is in fact quite a common issue; according to several sources, almost 70% of the global population suffer lactose intolerance to a degree, and it tends to appear at the adult stage. The key to knowing whether you’re lactose intolerant or not is clinical. 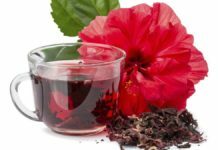 Symptoms vary greatly and aren’t specific enough, ranging from slight abdominal swelling, stomachaches and flatulency, to more severe ones such as colic-like pain, diarrhea, nausea, and vomiting. The thing to keep in mind is that these symptoms present themselves right after (or up to 30 minutes later) consuming any dairy product. Diagnosis, however, is not cumbersome. Simply remove dairy products from the patient’s diet and see if the symptoms go away. In case they don’t, there are other studies to rule out any other condition. 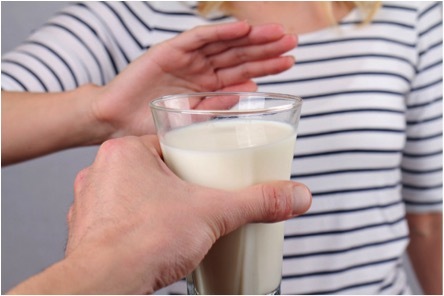 Once the lactose intolerance is diagnosed, treatment consists in permanently removing most dairy products from a patient’s diet or to seek lactose-free solutions. There are no other treatments available at the moment. 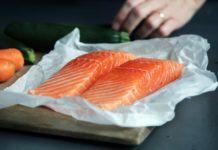 Many people worry that stopping consumption of milk would lower their calcium intake too much, which is why it’s recommended to eat other foods rich in calcium, such as broccoli and salmon. If you believe you suffer from lactose intolerance, remember to consult your doctor in order to be properly evaluated, and avoid the intake of dairy products. Artículo anterior¿Qué es una convulsión y qué hacer en caso de emergencia con alguien que está convulsionando? 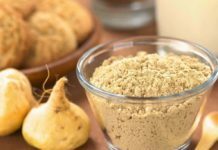 ¿Qué es la “Maca” y cuales son sus beneficios?